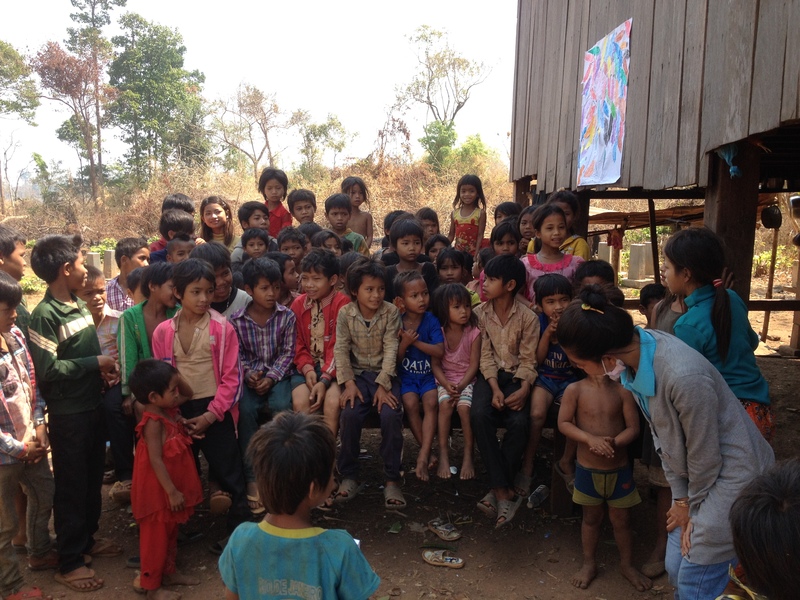 ‘We want a school.’ The ambition of a village, Northeast Cambodia. I should probably pause, reflect and expand on this point a little. Work of course is not always quickly progressed in Cambodia, nor do bureaucracy or delays always hamstring projects in the UK with many of them necessary to ensure projects are progressed appropriately and adhering to the appropriate guidelines and legislation. No, my experience of working with UWS as they sought to build more new schools simply evidenced how quickly things can actually be achieved when the right conditions (time, money, capacity, impetus, motivation, people) are brought together and effectively harnessed. I was there in February at the time the UWS team were finalising the locations of their next six primary schools. To evidence this pace, one school had been approved a couple of weeks prior to my arrival and when I visited the village during my first week, the foundations were already being laid. Three weeks later when we returned the small wooden school was practically finished, with the academic year due to start at the beginning of October. 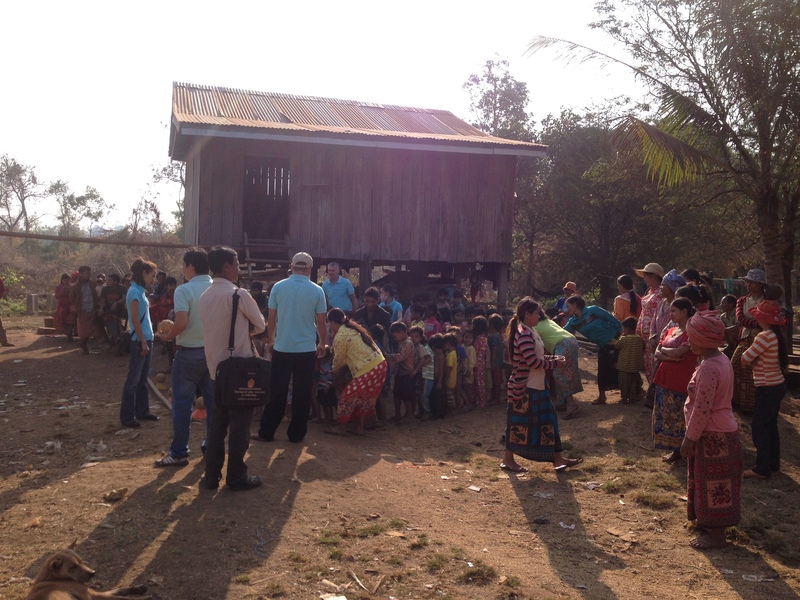 Supporting the main builder were adults from the village. UWS had learnt from their previous schools that is was integral that the village play a central role in both its construction and ongoing management. So, as well as stipulating that a School Support Committee was a requirement of approving a village for any new school, villagers were also expected to assign a designated plot of land for the site, provide wood for the building itself and assist with the final construction, led by the main builder, supplied by UWS. Another part of UWS approving a new school is the dialogue and process it goes through prior to any final decision being reached which I fortunately able to observe during my time there. The UWS team had been contacted about a potential village and we headed there one day to evaluate its suitability for a potential school. Taking representatives from the regional education department to ensure all of the decision makers could be present, UWS then met members of the village leadership to understand more about the village, its hopes, as well as its commitment to the project. Having secured the assurances and information they required they finalised a day the following week to return where they would deliver a test programme with the children of the village. This test programme addresses a number of key questions that Chris Howarth, the charity’s founder, felt were critical to their decision making process and which could only be verified in practice. This morning the following week was really quite a sight to behold and was certainly a highlight of my whole trip. Initially, as we arrived in our 4×4 the signs were not positive with only around twenty children sitting lazily around. Cue though our arrival and a number of hurried messages from the waiting Village Chief and suddenly dozens of further children appeared from nowhere; running up from the river, walking out of their homes, being pulled on the back of a tractor following demands from the Chief, or straddling the back of dusty motorbikes. Alongside this torrent of children – we had nearly a hundred by the time we started our programme, were their parents, keen to see what all the fuss was about and to cheer them along as they participated in the opening activities. For the rest of the morning the children took part in a range of activities led by the UWS staff, watched intently by their parents and the ever-present Village Chief. The result? All extremely positive; the village will now have a new school come September.